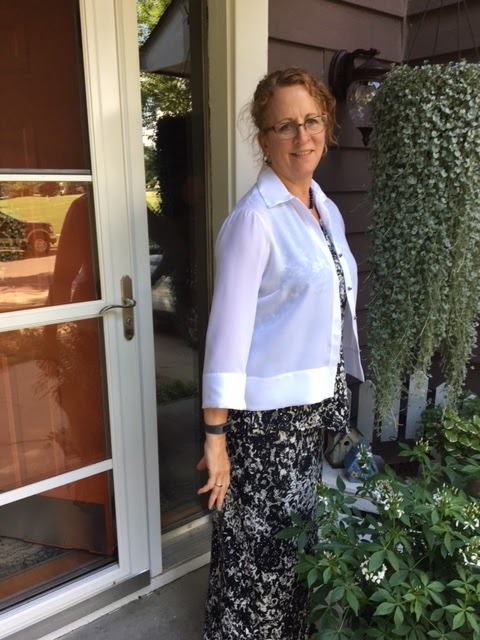 For July's blog post, I knew I needed some more work clothes for the summer months and that is exactly what I wanted to make! I am going to be starting a more professional job at the end of the summer and need some additional clothes that are appropriate for my new position that I can wear now and in the future. 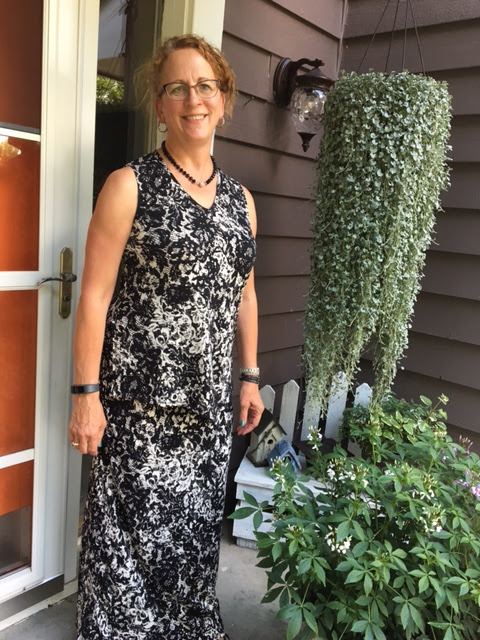 I love maxi dresses, and have several for one of my daughters, but noticed I didn't have any maxi skirts. What? I've made view A for her and now one for me! 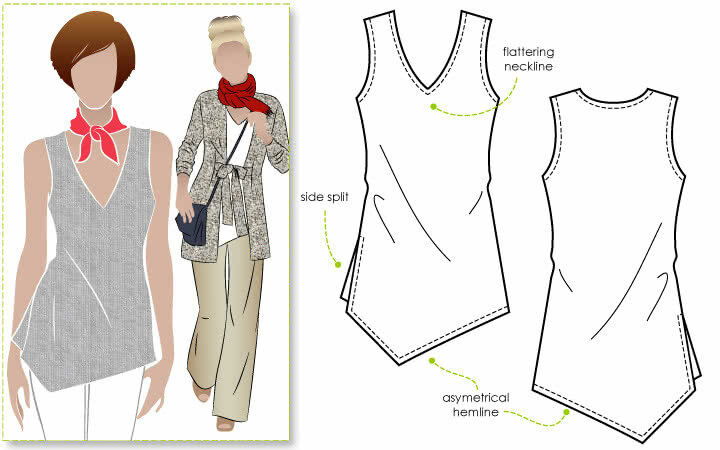 I hoped to make a coordinating top and a little jacket, just in case it gets chilly in an air-conditioned office. 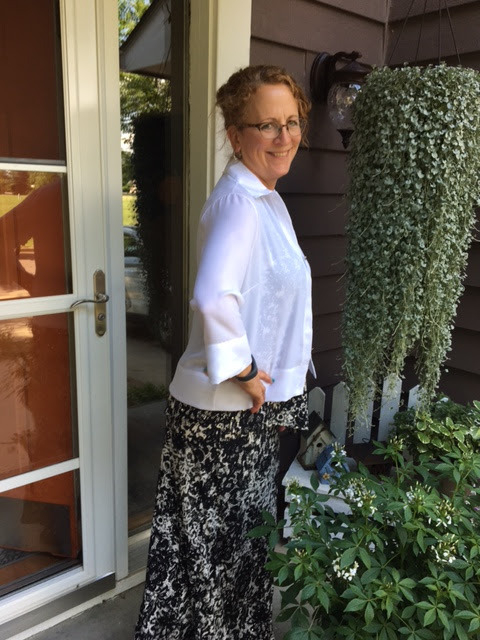 The skirt pattern is a New Look TNT pattern for me. 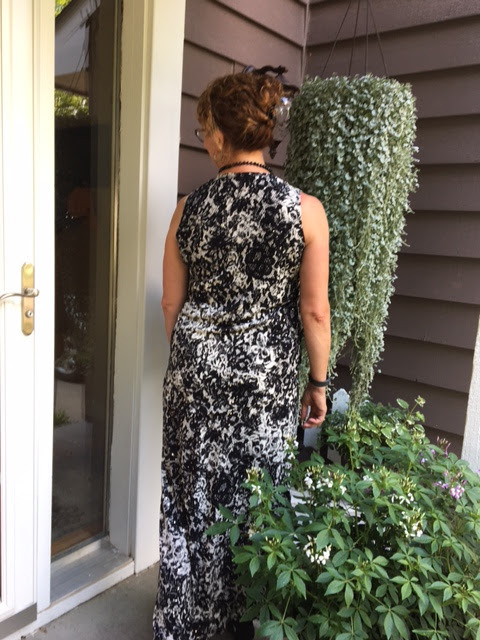 It is super simple with two side seams and a waistband. It literally takes me an hour to make! I don't like to string elastic through a casing so I ended up sewing the two elastic ends together, stuffing them into the waistband, and then stitching the waistband to the skirt. Super simple and no opening to fiddle with when you're done! 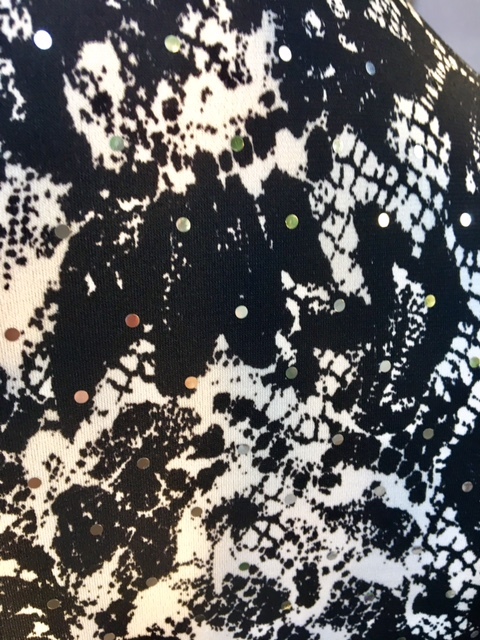 I fell in love with this sparkly black and white ITY knit. I know, I know. I use a lot of black and white when I sew but I love how effortless it is to put together. This knit is soooo soft and that hint of sparkle is an added treat! It doesn't seem to be available anymore but there are lovely other knits available, even in black and white! For the top, this is a new to me pattern. This is the StyleArc Seaside Sue top. I love the v-neck, which I don't sew a lot of but I decided I needed more of this style in my wardrobe. This knit was easy to work with. It washes and dries beautifully, is comfortable and I am glad I made these into separates. The top will work great with both black and white pants and the skirt will work with other tops as well. I also wanted to make a very light little jacket to wear as everyone tells me my new office is very cold in the summer. I am rarely cold, so I can't imagine being cold but wanted to make this little jacket just in case. This is another StyleArc pattern called the Marley Woven Shirt. 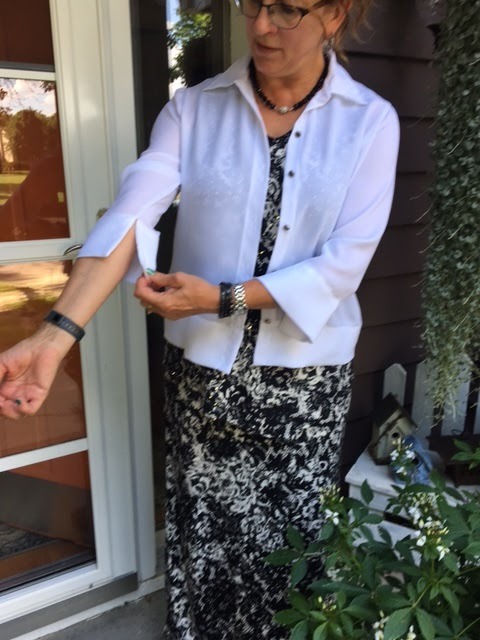 I thought it would be perfect for a lightweight shirt to wear over a sleeveless top or dress. This is made from a light-weight crepe. I love crepe. It is easy to work with and is so awesome to wear. I will probably keep this in my office for the warmer weather months to ward off the possible chill. Both of these fabrics were great to sew with, washed and dried beautifully, and will make some very functional pieces in my wardrobe. Offices are like those giant walk-in coolers! Lol! Sue - could you be any cuter? I love the things you sew! They look like great work wear basics! Thanks for sharing and best of luck with your new job! !